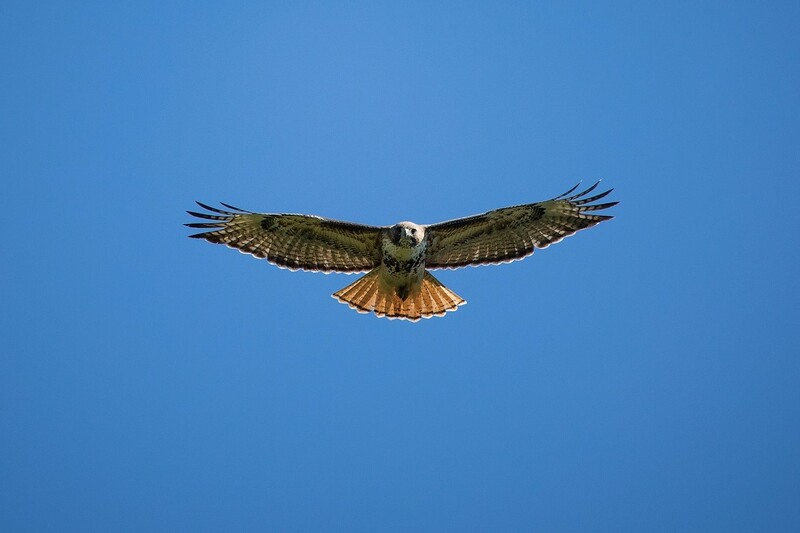 Have you been experiencing a problem with flying predators like hawks and owls? This can be heartbreaking and frustrating and can make you feel helpless, but you're not. There are ways to help keep hawks away from backyard chickens. On a personal note, this subject is near and dear to my heart. I have experienced one confirmed loss and a couple of close calls with hawks harassing my backyard chickens. Winter chicken keeping in my backyard is also high season for hawk attacks. To be fair, before we got chickens, we had been toying with naming our farm something like Hawk Ridge since we have so many hawks in the area on a regular basis. It's not uncommon to look up in the skies and see three or four hawks overhead. We also have nesting hawks each mating season. At the same time, for numerous reasons, I firmly believe my chickens are better off free ranging during the day. I work from home and can keep a close eye on my flock, but I'm not with them every second. Free ranging chickens are savvy and if you use some different protection methods, you're likely to reduce or eliminate losses from hawks. Yes. I have personally seen a hawk attack and kill a chicken, but in my experience, the onslaught of ground-dwelling predators like raccoons and foxes is much worse and takes a greater toll on a flock. REMINDER: It is illegal to kill or harass birds of prey, including hawks and owls. Real-Life Example — When I walked out to the chicken coop and looked up, I was horrified to see a red-tailed hawk calmly eating one of my White Leghorns. When the hawk spotted me, it flew off and dropped the Leghorn's body. As a lifelong birdwatcher, I was thrilled at the hawk sighting. 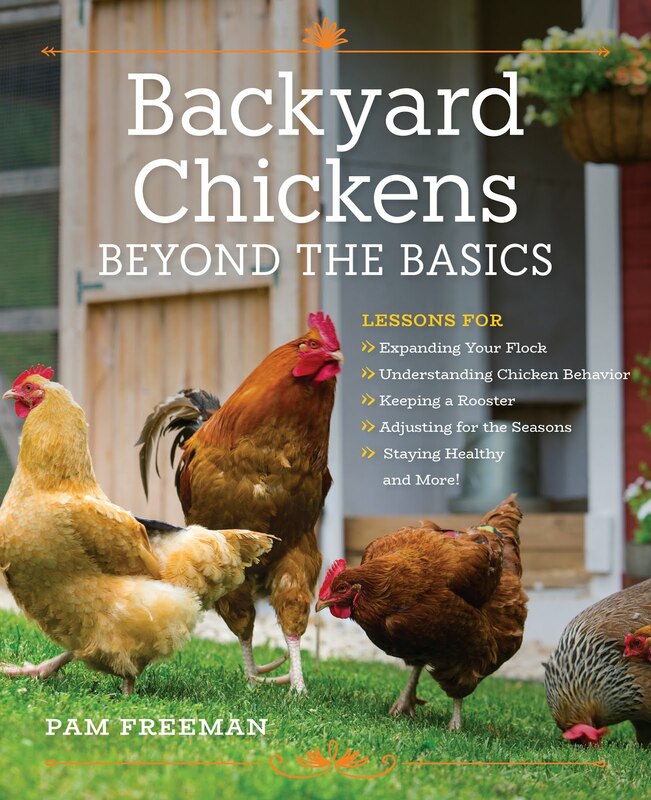 But, as a backyard chicken owner, I hated to see my chicken killed. The red-tailed hawk is one of three species in the United States known as a chicken hawk. The other two are sharp-shinned and Cooper's hawks. Fast forward a few months later, and I came across the scene in the snow pictured below. It's clear that a hawk or owl tried to attack one of my Leghorns. Lucky for the Leghorn, the hawk missed; all were accounted for after I took a quick headcount. 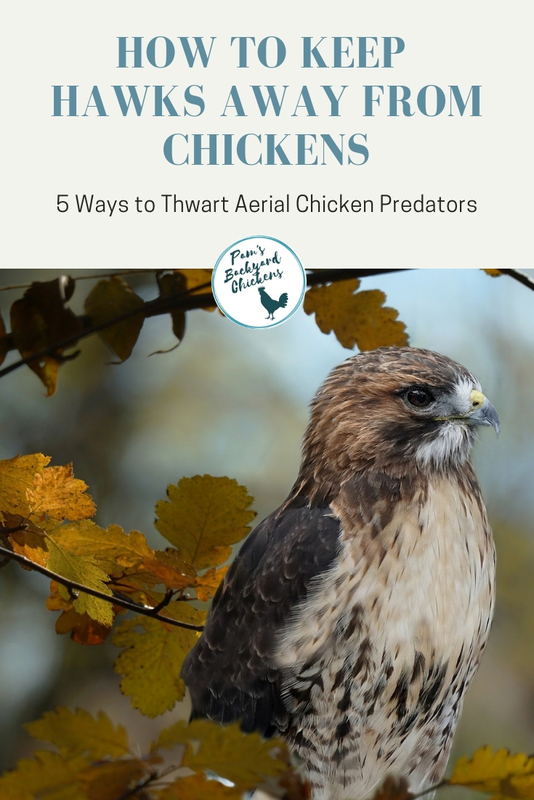 Here are my top five ways to thwart aerial backyard chicken predators. My hens were always pretty good at protecting themselves. But adding a rooster stepped up the protection. Many times I've watched our rooster, Hank, scanning the skies for flying predators. If he sees something, he's quick to let out his alarm call and gather the hens in a protected spot. Then he'll walk back and forth in front of them, keeping them together until the danger has passed. Now I know that not every rooster is great at protecting his flock. But if you find a good one, keep him! Real-Life Example — I heard a huge commotion coming from the backyard. From the intensity of squawking, I knew something was wrong and ran outside quickly. I found a hawk rolling down my hill with one of my Buff Brahmas tucked in its talons. They were in a mighty struggle! Luckily, my yelling and running at the hawk scared the hawk away and my Buff Brahma wasn't hurt. When I looked up from checking my Buff Brahma, I realized, my rooster had the rest of the flock backed up against the house under an overhang. He had his wings spread over the hens and was poised to fight. He had acted quickly to save as many hens as he could. Our dog, Sophie, was great with our chickens and when she was out with them, she was a wonderful deterrent. I would let her out at various times throughout the day so predators wouldn't catch onto her schedule. If they didn't know when she'd be out, then they were extra cautious. I like to put my Halloween scarecrows to good use year-round by mounting them around the chicken yard. Just make sure to move them every few days so the hawks don’t figure out your tricks. Also, shiny, hanging objects can confuse flying predators. I like to use pie tins. I punch a hole in each tin and tie them from random tree branches. 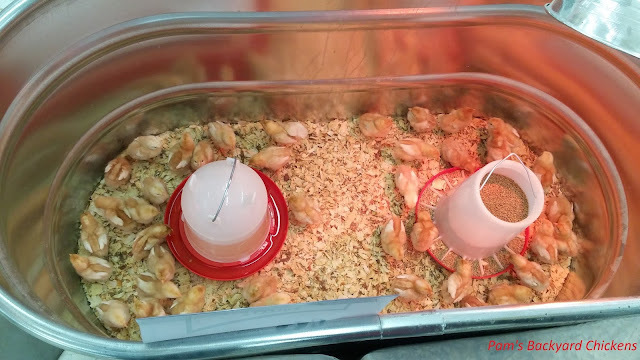 Do you have tips and tricks that you use to keep your backyard chickens safe from hawks?